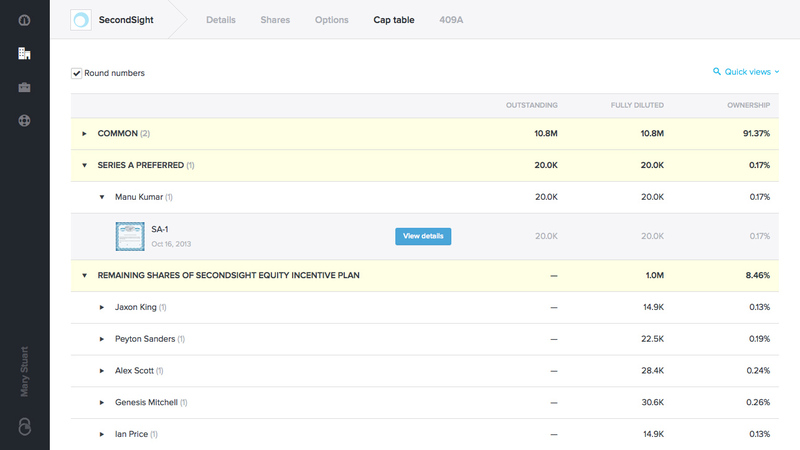 When we last checked in with eShares, the company had just launched its platform for issuing and managing electronic stock, rather than paper certificates, to employees, investors, and other shareholders. Now the company hopes to make its offering even more compelling, by expanding its system to help manage stock options as well. The startup has just released its new stock option service, which will allow companies to easily and cost-efficiently issue option grants to employees. Using the platform, startups can issue options without printing contracts or even sending email, since eShares handles all e-signatures and delivery of grants. 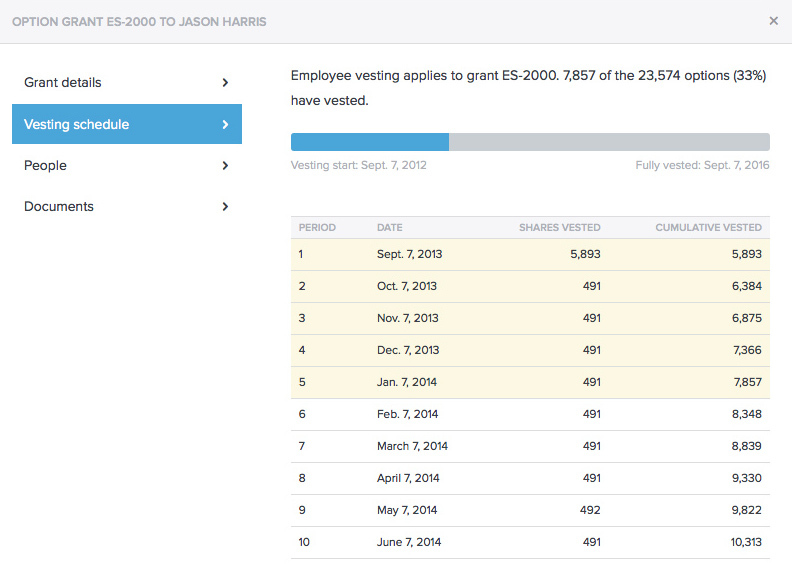 On the employee side, all eShares users get an account where they can see the full details of their grant. That includes a progress bar for their vesting schedule, as well as a number of options and strike price. In other words, it will give employees a whole new level of transparency around their options. The service is priced at $20 per option grant, which is well below what it would typically cost to hire lawyers to draw up and manage the paperwork. As a result, eShares could help create a much more liquid marketplace for shares of privately owned companies. Since all records are stored in the cloud, there are no worries about that paperwork getting lost or disappearing. In fact, issuing stock options via eShares has the added benefit of providing companies with a view into the cap table that is updated in real-time, without any need for attorneys to manually update spreadsheets to keep track of who has exercised option grants and when. Since the summer, eShares has grown to support more than 250 private companies who manage their shares electronically, and has had nearly a billion shares issued on the platform since launch. It’s hoping that adding the ability to issue and manage stock options will draw more clients. The offering has been in beta testing for the last month, with companies like Aisle411, Bloodhound, Redbooth, TangiblePlay, EasyESI, and Pristine using it. But eShares is now making it available to all customers now. eShares has raised $1.8 million from a series of investors that included Draper VC, Expansion VC, K9 Ventures, Elefund, Subtraction Capital, Scott Banister, XG Ventures, Kima Ventures, Andy Palmer and Structure Capital. The company is based in Palo Alto and now has a dozen employees.